Smartwatch Market is our own webshop. Completely maintained and managed by Schattorie Solutions. At some point in time we wanted to give our customers the ability to pay using the Dutch payment method “AfterPay”. So we obviously applied for it, but there was no possibility of a direct link between our websop (PrestaShop) and their service. So we created it ourselves! We’ve developed this piece of software in such way that it is generic for any webshop. 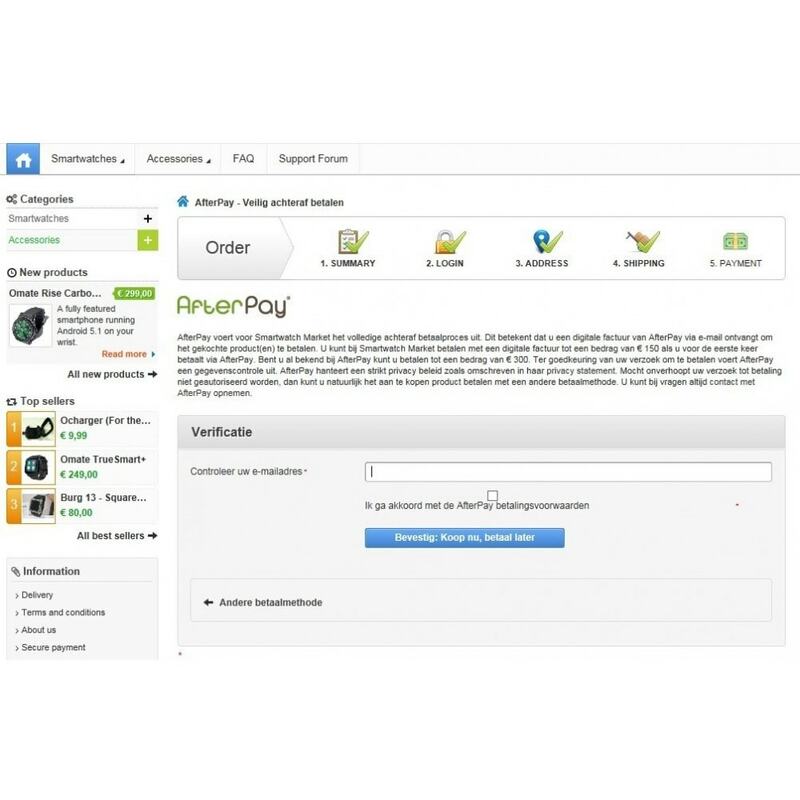 Other webshop owners can buy the module via the PrestaShop add-ons store, install it on their webshop, configure it with the information offered by AfterPay, and their ready to offer AfterPay to their customers.